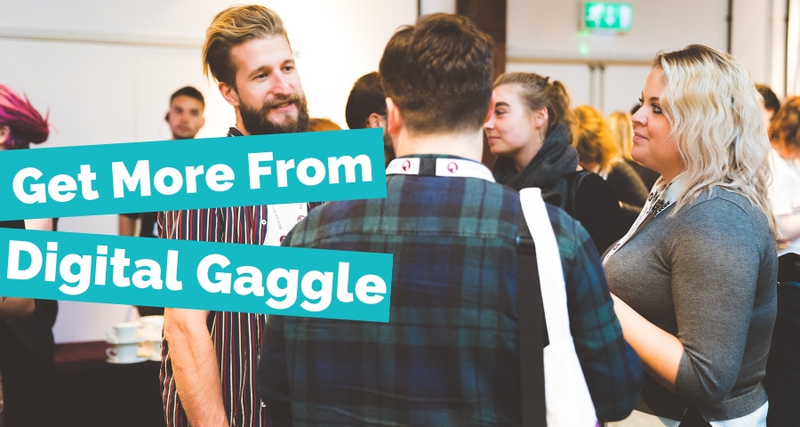 Preparing yourself for Digital Gaggle is a surefire way to make sure you get the most out of your time at the conference. The idea of "preparing for a conference" can seem a bit daunting at first, and if it's your first time at the event, you may not even know where to start! 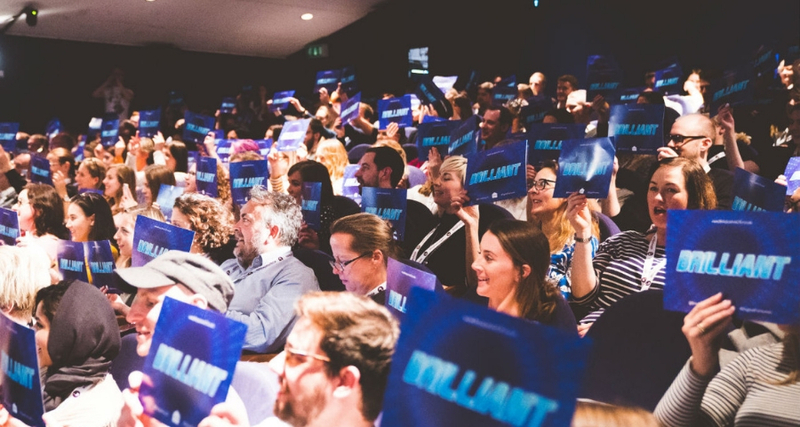 To help you wrap your head around all the opportunities that the digital marketing conference has to offer, we’ve put together some top tips for you - you can check them out below! It's really important to be aware of what you want to get out of the day and to have a think about this in advance of the event. Perhaps you know that you're in need of a new website, or need to talk to someone about improving your visibility on Google; take a look through the event site at the sponsors to see if there's a supplier there who can help you. You understand the needs of your business more than most, so take a moment before the conference to make a note of all the problems you want to try and troubleshoot at the event. Maybe you need to increase conversions on your site or you just want to ask other marketing managers about how they've solved a particular problem. 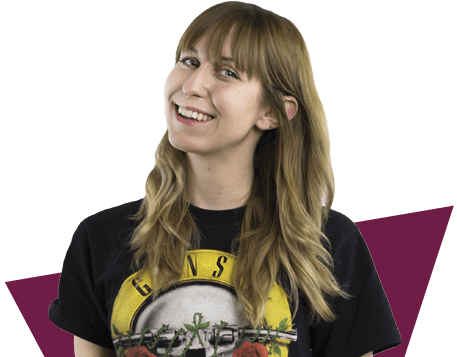 Figure out which breakout talks will be best for you to attend and have an idea of what you'd like to pick the brains of fellow attendees about. Get to know the people you’ll be sharing your day with in advance. Social media is an excellent way to get started with this! There are currently two hashtags which will help you connect to like-minded attendees. 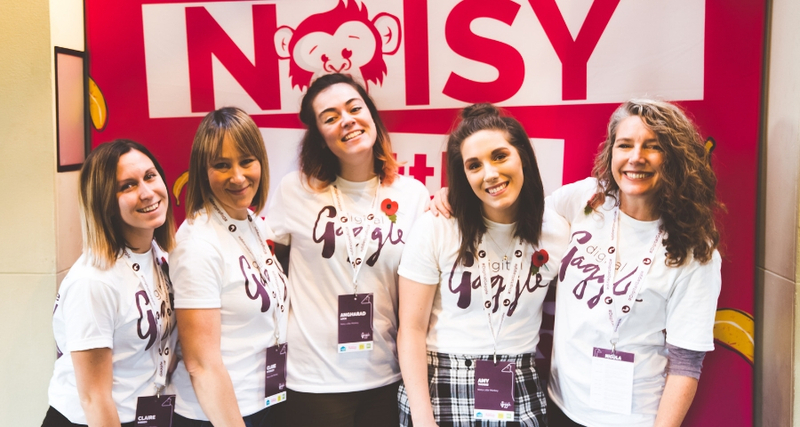 If you’re coming alone try using the hashtag #DigitalGaggleSolo to find other people attending by themselves, You can also use the hashtag #DigitalGaggle to connect to anyone talking about the event in general. You should start using these hashtags before the event, tell people which talks you're looking forward to - you never know who you might get in contact with. When you arrive at the event, there'll be colour coded badges to help you figure out who the attendees are. If you want to track down a speaker, they'll have a purple badge. Event partners will have blue badges, attendees from an agency will have yellow, and any in-house/brand marketers will be wearing a pink badge. To encourage conversations at the event, you'll be given a sticker on arrival with the name of half of a famous duo, all you need to do is find your partner and get talking! There's no such thing as a silly question; anything you ask will help you to learn and develop, You're going to the event because you want to take away tons of actionable advice to apply to your own marketing - take advantage of every minute you're at the event! The sponsors of the event have been handpicked because we trust them, admire their work and believe that they can offer you lots of guidance. The more you think about what you need from them, the more they will be able to help you on the day too. ⭐ t&s creative communications are raffling off up to 200 hours of #FreeCREATIVE to attendees - that's £20,000 worth of their time for absolutely nothing. This is the last time they're running this initiative so don't miss out on the opportunity to help your business grow. ⭐ You can also chat to the team from Somerset Design if you're looking to improve your website's functionality and aesthetic. Their team has a wealth of experience, so have a chat with them - they'll work wonders for you. 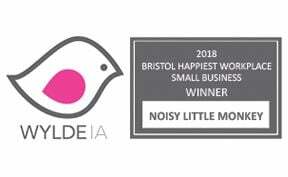 ⭐ Don't forget to talk to Noisy Little Monkey for advice on SEO, digital marketing and social media. They're a HubSpot partner too! You'll make loads of new connections at the event and what you don't want is to be speaking to someone really important and then realise you haven't got your business cards! It goes without saying that you shouldn't be pitching to every person you meet on the day, but if you find yourself having some good conversations that you want to continue after the event, you'll definitely want to have these to hand. If you’re attending alone and feeling nervous, why not persuade a colleague to join you? This way you'll have twice the networking power, and can fill two notebooks with juicy information from the talks. Plus, when it comes to attending the breakout talks, you won't have to pick between which session to attend, you can head to both. Winner! Your colleague can grab their ticket here. It's all very well meeting and chatting to people on the day but if you want to build sustained relationships with a potential client or supplier then arrange a follow-up chat later in the week. If you've learned loads of great stuff from the talks, don't hoard everything to yourself! Why not prepare a talk you can give to your office so you can share the knowledge with the rest of your team? Or you could even write a blog about the event and share what you've learned with the people who visit your website.